Job interviews are a lot of work! You invested a lot of time to research the company, you finalized your resume to ensure it highlighted that you were a perfect fit for the position and then you adjusted your schedule to meet with the hiring manager. You must also remember your interviewer invested their time in meeting you as well. Therefore, it is imperative you are prepared to thank them formally, with a professionally written thank you note. Be sure to thank your interviewer for their time and consideration. Remember to keep it precise but informative. Reiterate a few points that you discussed in the interview. Remind the hiring manager, why they need to hire you. Let them know what you can offer the company and how you will be a valuable asset. You can use bullet points to showcase this information. Punctuation, grammar and spelling are important! Verify the spelling of the hiring manager’s name and title. Pay attention to these small details, they do matter! You can email the thank note, however it is important to follow professional writing format. Which means do not use abbreviations or symbols. Remember this is not a text to your friend. This is a business correspondence and the manager wants to know you can send a good follow up business letter not just to him but the customers you may call on for their company. 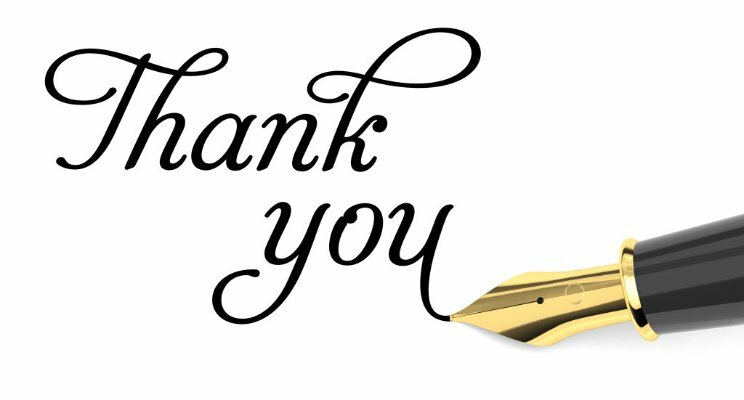 It is important to begin drafting your thank you note immediately after your job interview, while it’s still fresh in your mind, and send it out ASAP—preferably within 24 hours of the interview. It’s important to think of the post interview thank you note as part of the hiring process. Therefore, following through completely and paying close attention to the details is necessary. No thank you note or a poorly written one, could cost you the job!